Fire damage restoration is a process, like any other. There are certain things that are taken for granted as common knowledge during a fire cleanup process. But sometimes simple answers and facts might not be as simple as we think. 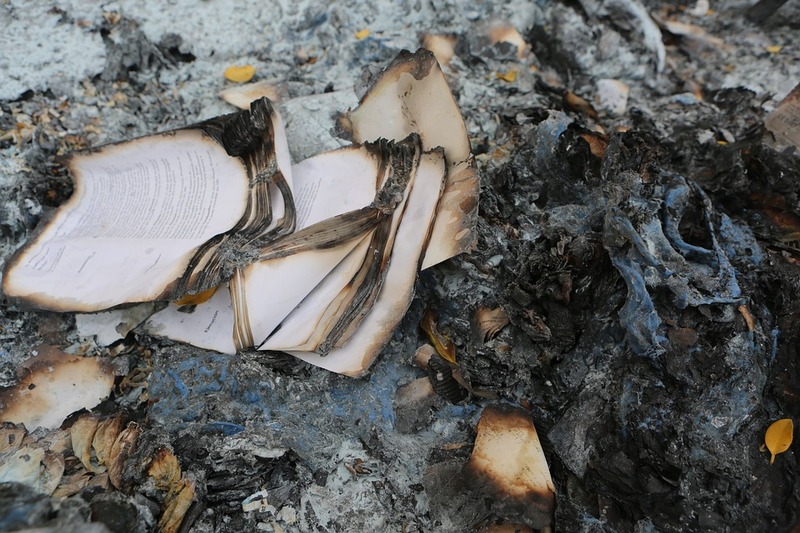 Here are a few myths about fires and fire restoration. While sprinklers can make the clean-up process a longer operation after a fire, in the moment of the blaze, sprinklers can make a huge difference. The water can help tamp down the fire or put it out entirely. On a regulated system that’s working properly, sprinklers won’t trigger on unless absolutely necessary. Cleaning up afterward might be more of a chore, but sprinklers can contain the fire and prevent it from spreading to more of your home or building. Cleaning up after a fire is going to take a physical and emotional toll on anyone helping with the cleanup. Sifting through the items affected by the fire can be challenging, especially if the fire was widespread and consumed several rooms or an entire home. The process will feel long and difficult. Lean on a support network in this difficult time. Trying to clean up after a fire without professional help can be dangerous and challenging. Without knowing the safety ramifications of diving in and starting to clean up, you can injure yourself or your family. There may be structural issues like weak walls or ceilings that could fall down and cause injuries. Many times insurance agencies will also insist on professional services to help clear up the mess after a fire. Once your home has sustained fire damage, the restoration process can be complicated. Load-bearing walls might have changed or shifted, and sometimes things can’t be rebuilt as they were. Fire damage restoration might not be able to bring everything back to normal, but it will help put things back into place as well as they can. In some cases, fire damage restoration can open your home up to a new layout or a different set up that’s easier and nicer than the previous layout. Experiencing a fire can be traumatic. 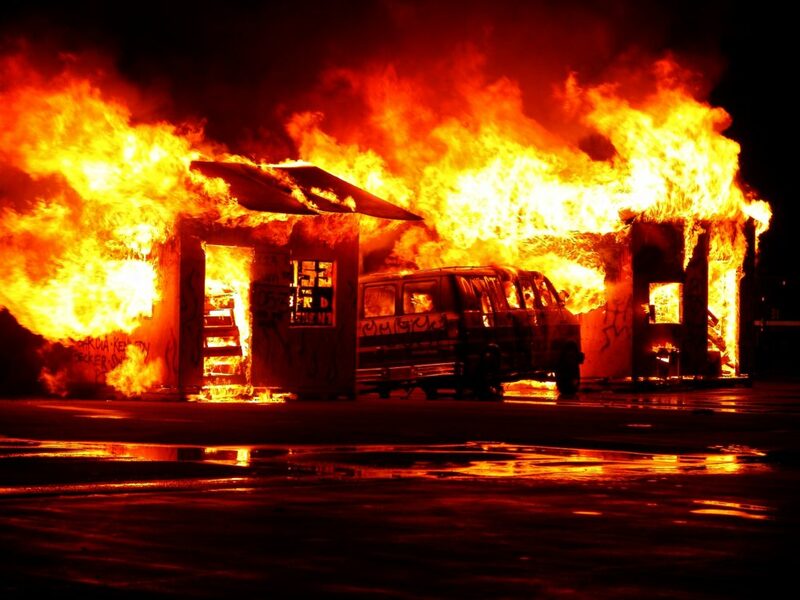 When you need help cleaning your home or building after a fire, call Kelley Klean. Our experienced team is a professional group that knows how to handle all aspects of fire damage restoration. 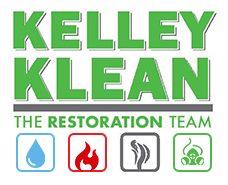 Kelley Klean wants you to stay safe and play it smart during your fire damage restoration period. Fire can have a devastating effect on your life when it destroys property and possibly even causes injury. Many people lose family heirlooms, memorabilia, photograph albums and other items of sentimental value that are irreplaceable. Your furniture, your home and everything in it could be destroyed or damaged by a fire. While there is no way to regain these items, you need to be able to pick up the pieces and continue on with life. Do not go back into your house, not even if the fire is out, unless a qualified professional has declared the place safe. Contact your insurance company as soon as possible so that the repairs and replacement of items can start happening as soon as possible. There are many other considerations that have to be taken into account before your home becomes livable again, contacting your insurance company or agent will help you with some of this. This includes safeguarding your home against possible theft, creating an inventory of the items lost, arranging for somewhere to stay until the home is livable again, getting in a professional to assess the damage to the home and how to proceed. Check with your insurance company what is covered and what is not (generally it is better to know this before paying premiums on a policy) as some of the things you would need to do can be quite expensive. Contact the local disaster relief organizations, they may be able to help with temporary accommodation and food if you have no other options. You could check with your insurance company with regards to an advance to cover items such as clothing and toiletries. Your insurance may also cover you for reasonable board and lodging. Make sure you know exactly what will be paid and what won’t so you don’t incur extra expenses. Make sure you advise your mortgage bond holder of the disaster, as well as any other lending companies you are dealing with, this may allow you to reduce payments for a period of time with these companies. Advise your local post office and utilities companies as you may need to halt these services for a period of time. Notify your children’s school. Advise the local police of the situation as well so they are aware the home is being left vacant for a period of time. If you lost vital medication, contact your doctor to issue you with a script to replace the medication. Hopefully you managed to keep your important papers in a waterproof box in a safe place and are able to recover these items. If not, you may need to start the process to replace all of these important documents especially passports, birth certificates, marriage certificates, drivers license, tax records, vehicle registration, school records, social security cards, any other forms of identification and other records you may need. Consult professionals to do a thorough inspection of your home to discover the extent of the damage. You would want your insurance company involved in this process as they would need to let you know what cost they will be covering as per your policy. Do not return to your home until the damage has been repaired and a through clean-up has been done. It is not worth risking injury or illness to you or members of your family to move back in before the home is full repaired and soot and odor free. You may need to consult your financial institution if necessary regarding a loan to cover the costs which your insurance does not cover. A fire can be disastrous, but in most cases, the home can be repaired and furniture replaced and you can continue to live in your home after the worst has been taken care of. Fire damage doesn’t end when the flames go out. The process of fire damage restoration is intricate and difficult to master. Fire damage and damage linked to the fire continue to worsen even after the fire is put out. There are four main ways that fire damage continues to wreak havoc without an open flame. Structural damage, odor, soot, and water damage all get worse with time. First, it’s important to clean ash and soot as soon as possible, after putting out a fire. Soot stains and smells. It can be tracked through a home or travel on breezes. A fire in one corner of the room will spread hard-to-clean soot into every corner, if it’s left by itself. Quick clean-up is key to preventing soot from spreading and causing more damage to carpets, walls, and furniture. Fire damage can result in major repairs needed to the structure of the building. Superficial repairs like replacing damaged drywall can happen quickly. Structural repairs will take a significant amount of time longer. Fire damage that ate into load bearing walls or roof supports will add a lot of time and money to the restoration bill. The building may be uninhabitable for the period of the repairs. That certainly amounts to fire damage continuing after the fire is out! Fires don’t go out on their own. Cleaning up the water or chemicals used to douse the flames requires careful work by a restoration team. Chemical clean up is a dangerous process. Cleaning up flame retardant chemicals requires specific safety gear. This adds time and money to the restoration bill. Water damage complicates fire damage. Water damage comes with its own subset of damage. Problems with mold, more structural damage, and bacterial growth can all arise when water is present. The longer that water, chemical fire retardant, or a mixture of the two sits, the more damage they will do to the building. Where water damage is the direct consequence of fire damage, it shows that even putting out the flames can lead to more problems for your home. Fires cause a lot of issues with air quality and smell inside the home. Smoke carries foul scents like chemical burns, and melting plastic, into the air. This can coat the walls, ceilings, and furniture within rooms. The smell can be at most dangerous and aggravating to lungs and sinuses. Even at its mildest form, the odor from fire damage is unpleasant. Cleaning odor that has set into paint and fabrics is a difficult process. When left unchecked, it results in more things needing to be replaced. A quick response can mean more cleaning instead of replacing items and furniture. Fire damage doesn’t stop right when the fire goes out. Odor control, water damage, flame retardant chemical damage, soot, and structural damage will all outlast the flame. Though the fire fight is over, the damage is just beginning. Putting the fire out is only the very start of the restoration process.